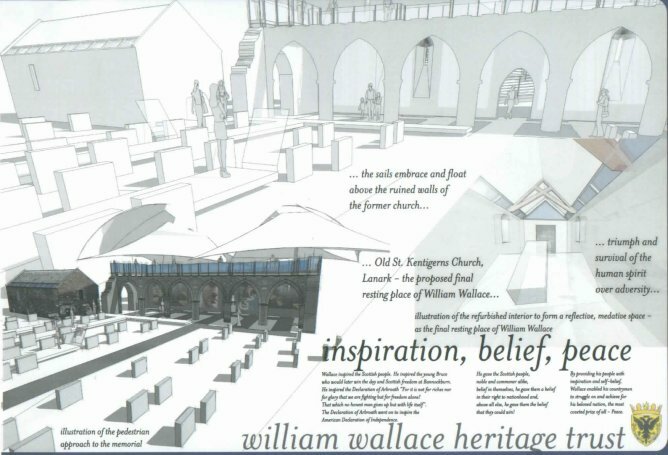 St Kentigerns in Lanark is to be the last resting place for the "Spirit of Wallace". 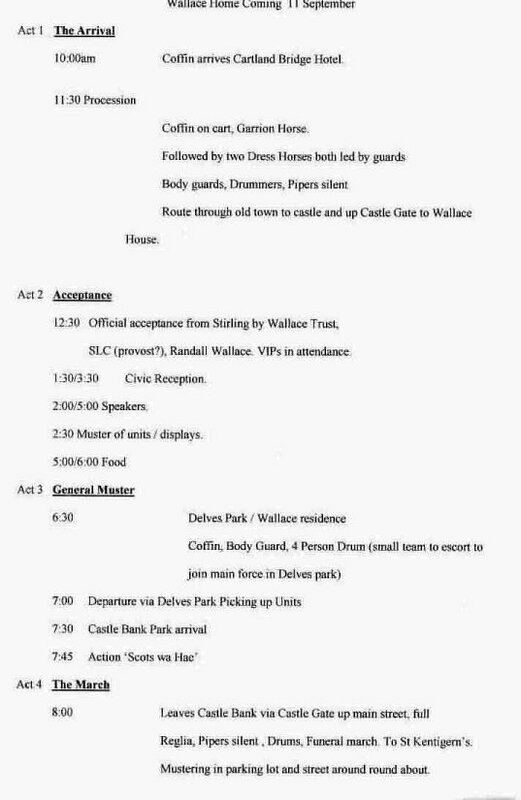 As well as a full programme of events over the weekend of the 20th and 21st of August (see below), there is also a huge event in the town over the weekend of the 10th and 11th of September, when many thousands can gather to pay homage to Scotland's National Hero. The coffin will be carried through the town on the evening of the 11th, the anniversary of his great victory at Stirling Bridge, to its final resting place. Further details of this are given below, including the full programme for the 11th September. This event means that people who cannot attend the ceremony in London ( the church there only holds 300 and is by invitation only) can be part of the proceedings. 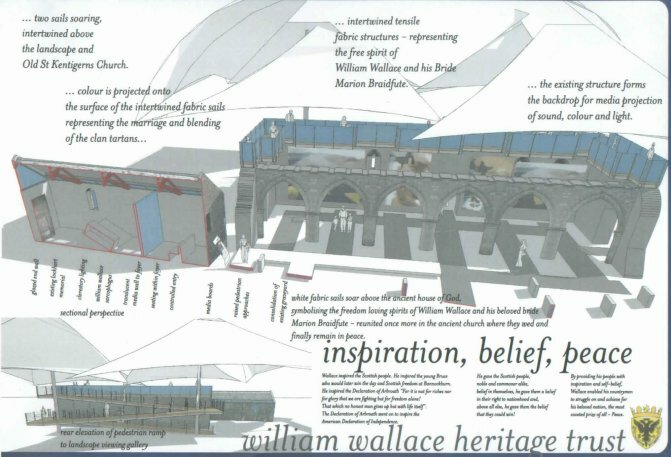 Immediately below are the plans for St Kentigerns, and it is hoped that this venerable building will become a magnet for visitors for years to come, a place where people can reflect on their patriotism, and a place where the spirit of "The Wallace" can rest for eternity. 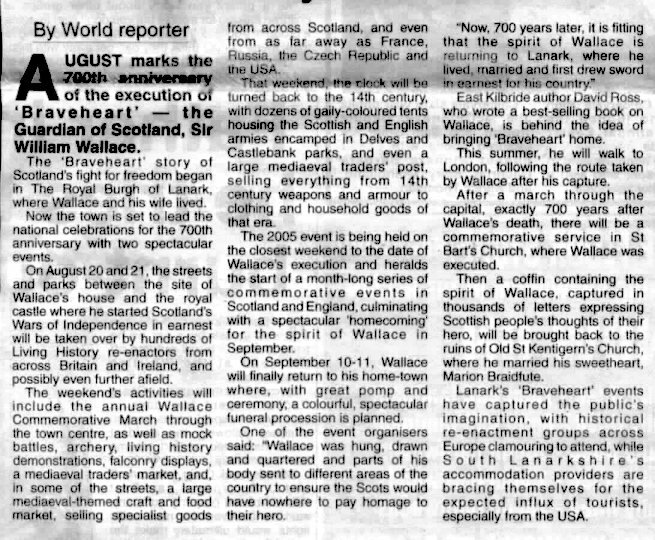 Wallace inspired the Scottish people. He inspired the young Bruce who would later win the day and Scottish freedom at Bannockburn. He inspired the Declaration of Arbroath "For it is not for riches nor for glory that we are fighting but for freedom alone! That which no henes man gives up but with life itself." The Declaration of Arbroath went on to inspire the American Declaration of Independence. He gave the Scottish people, noble and commoner alike, belief in themselves, he gave them a belief in their right to nationhood and, above all else, he gave them the belief that they could win! 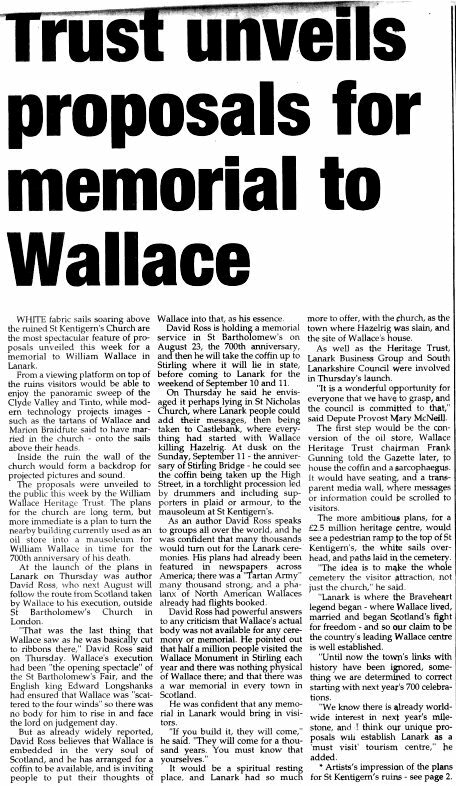 By providing his people with inspiration and self-belief, Wallace enabled his countrymen to struggle on and achieve for his beloved nation, the most coveted prize of all - Peace. White fabric sails soar above the ancient house of God, symbolising the freedom loving spirits of William Wallace and his beloved bride Marion Braidfute - reunited once more in the ancient church where they wed and finally remain in peace. Over 50 specialist craft/food/drink stalls coming for the street market. Delves Park will host an archery competition over two days (longbows and crossbows) and including an international competition for The Lanark Silver Arrow. The park will also hold a falconry display, catering, and something between 12 and 15 traders tents selling everything from armour, swords and targes to cloth, wrought iron, household goods and other re-enactors supplies. Castlebank will have the Scottish & English tented encampments and a living history area plus a children's archery area. Some more information available at: Tournee - the age of chivalry. 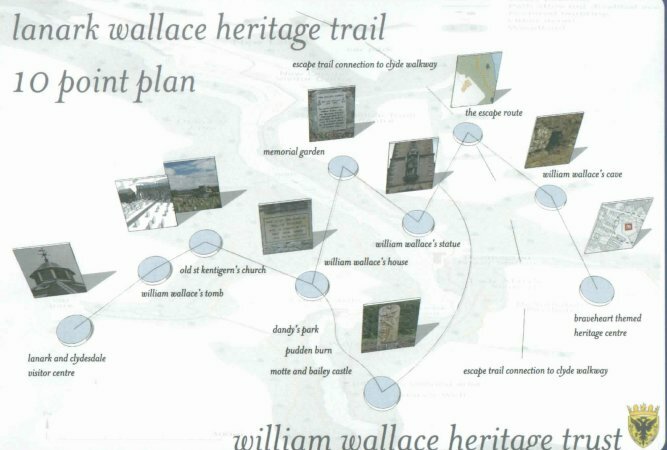 "On August 20 and 21, the streets and parks between the site of Wallace's house and the royal castle where he started Scotland's Wars of Independence in earnest will be taken over by hundreds of Living History re-enactors from across Britain and Ireland, and possibly even further afield. The weekend's activities will include the annual Wallace Commemorative March through the town centre, as well as mock battles, archery, living history demonstrations, falconry displays, a mediaeval trader's market, and, in some of the streets, a large mediaeval-themed craft and food market, selling specialist goods from across Scotland, and even from as far away as France, Russia, the Czech republic and the USA. 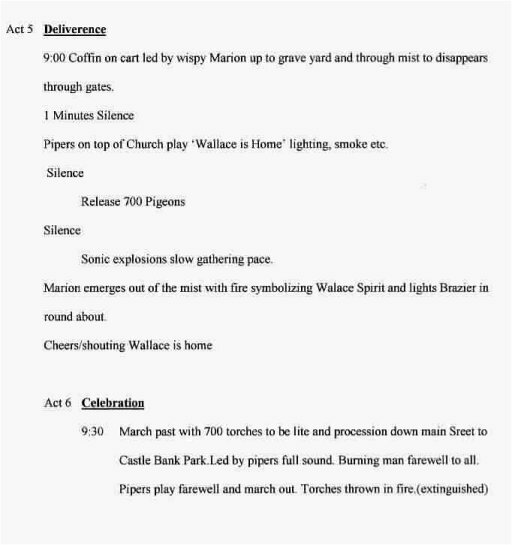 On September 10-11, Wallace will finally return to his home-town where, with great pomp and ceremony, a colourful, spectacular funeral procession is planned. ... Then a coffin containing the spirit of Wallace, captured in thousands of letters expressing Scottish people's thoughts of their hero, will be brought back to the ruins of Old St Kentigern's Church, where he married his sweetheart, Marian Braidfute." 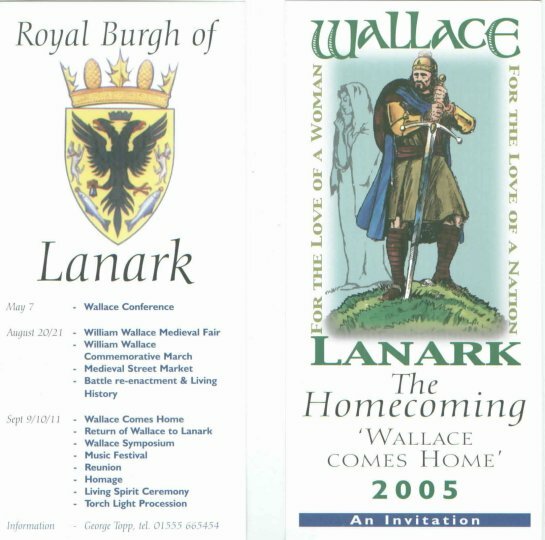 Further and updated information on the events over the weekend in Lanark can be obtained by visiting the William Wallace Heritage Trust Lanark website, just click on the logo below.